Lori Sherwood is currently the Director of Broadband for Vantage Point Solutions. Prior to stepping into her role with Vantage Point, Ms. Sherwood served as Regional Manager for Advantage Engineers. Ms. Sherwood also served as Of Counsel with the law firm of Kissinger & Fellman, P.C, where she specialized in local governments, information technology, telecommunications, community broadband networks, legislation, lobbying and federal affairs. Prior to that, Ms. Sherwood served as Broadband Program Director for the nationally recognized One Maryland Inter-County Broadband Network (ICBN) initiative in Howard County, Maryland. 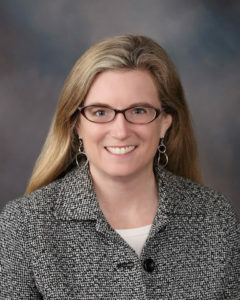 Ms. Sherwood co-developed, co-wrote, and co-directed the 18 month effort to obtain the $115 million dollar federal stimulus grant for the One Maryland Broadband Network and directly managed the $100 million dollar ICBN sub-award. The ICBN program successfully constructed over 800 miles of fiber optic cable and directly connected over 650 community anchor institutions in the Central Maryland region. Ms. Sherwood recently served as a Member of the Board of Directors for the National Association of Telecommunications Officers and Advisors (NATOA). Ms. Sherwood has an undergraduate degree in anthropology from the American University and is an honors graduate of the University of Baltimore School Of Law.